Neely Henry Lake is situated near the city of Gadsden in north Alabama. This 11,200 acre lake is the second of six man made impoundments on the Coosa River System. It stretches 77 nautical miles, from the lakes headwaters that start below Weiss lake dam, all the way to the lower Neely Henry lake dam. From dam to dam there are a lot of places for anglers to fish this winter season. 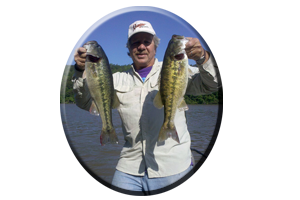 Largemouth bass are found lake wide, included as a bonus is the Coosa River spotted bass. 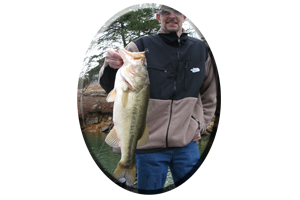 A ball of fighting fury not found on all Alabama lakes…a bass that any angler would enjoy doing battle with. With 339 miles of shoreline (at full pool), Neely Henry Lake displays a lot of terrain for these bass to spread out in during the cold, winter months. 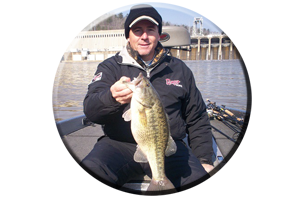 But not all bass on this lake go deep during the winter months, like bass traditionally do on other Alabama reservoirs. Warming trends often occur in the winter season throughout north Alabama and this can suddenly show these bass feeding for weeks at a time, often in the shallows of this lake all day. Or just the opposite can take place. Severe cold fronts, followed by bright bluebird skies, can slow the feeding process and make catching these bass hard at times. Regardless of the often times very severe wintertime conditions, these bass have got to eat on a daily basis. 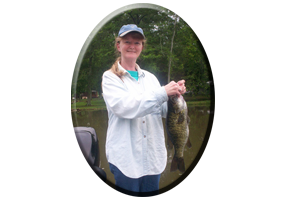 There are always some catchable bass to be found lake wide by the angler with a lot of patience, a little knowledge of the lake and plenty of time to explore Neely Henry Lake. With low water (winter pool down 2-3 feet), exploring the lake calls for extreme caution. Navigating out of the main river channel or in unknown shallow waters can be very dangerous to lives and costly in the means of both boat and motor repairs. Always use your depthfinder when navigating, study your map and always talk to the locals or boat dock owners before heading out on any lake you are not familiar with. This especially holds true when navigating and fishing above the two bridges near Gadsden city launch, all the way to the lakes headwaters over 20 miles north. When heading up the lake from here, after passing a mid lake island (about 10 miles above Gadsden city launch), then going under another bridge (about 10 more miles up the lake), extreme caution is advised. There is a lot of mid river water less than 10 feet deep in these lake headwaters. All loaded with stumps, logs, boulders and a sudden shallow bottom. All of which can leave you stranded far up the lake with breakdowns and boat damage…with no help in sight. Fishing Neely Henry lakes headwaters calls for either targeting the mouths of creeks, fishing rock buffs or fishing in and around the many forms of wood cover such as stumps, laying logs, fallen trees and logjams, all of which are very evident throughout the winter months, with the lake drawn down a few feet exposing this wood and rock cover. The lake has been down a few feet since spring and no weeds now grow in this upper lake region. Drought, coupled with hot, 100 plus degree air temperatures this past summer season and the lack of rain on into the fall season, created clear water conditions. These adverse conditions have an effect on the way these bass feed all throughout the winter months. Normally, there is plenty of current from fall rains in these lake headwaters, the water is usually stained from these heavy rains and the lake is closer to full pool, until winter arrives. The use of big, gaudy type lures or lures that emit noise, flash and vibrations have fooled a lot of big bass in these lake headwaters. With clear water conditions, little or no current daily, the lake down 2-3 feet and lots of exposed wood and rock cover, anglers may have to downsize their offerings to even get bit this winter season while fishing this river type terrain in Neely Henry lake’s upper lake region. Neely Henry’s mid lake region is more safer to navigate, it displays many main lake flats and the mid to lower lake has plenty of major feeder creeks. Plus during the winter months you can generally see a lot more action from feeding fish and schools of baitfish are more evident. Clear water clarity is common in this lower lake, so most anglers (and the bass they target) are used to these conditions, conditions that will last for 3-4 months of cold, winter weather ahead. The same lures you usually use during winter will fool these bass this winter. If not getting any bites, simply downsizing your lures will work. Lures like spinnerbaits, crankbaits, lipless lures and finesse lures like small jig heads adorned with small 4 inch worms may be needed. 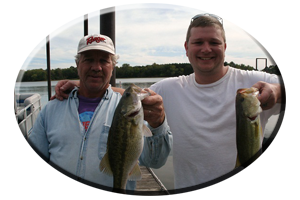 Want to learn more about fishing Neely Henry Lake? Or fishing any Alabama lake? Always call on Reeds Guide Service…first! “Over 40 years guiding and exploring every lake in Alabama.” Several guides and boats available year round for multiple parties and corporate guided trips. Tournament anglers welcome! * Winter is a good time to experiment, for there are many lures that will fool these bass. But only if you tie them on and give them a try. These lures will not work when they are collecting dust in your tackle box. Give Neely Henry Lake a try this winter season. Or call on Reeds Guide Service (205) 663-1504 to book a trip to this lake or any Alabama lake, year round. Several guides and boats available year round. Discounts available.